Gene and Lukbir Bains are brothers who own and operate BSB Ranch LLC in the Sacramento Valley of California. The Bains grow peaches, prunes and walnuts on four orchards totaling 350 acres. Using BMPSs (Best Management Practices) such as cover crops for over a decade, BSB Ranch LLC has helped keep pollutants such as sediment, pesticides and fertilizers from running off their property and into the local watershed. 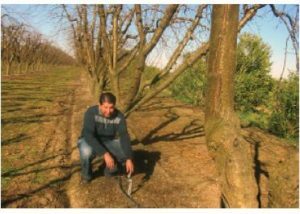 Since 2009, the Bains have converted over 250 acres of flood-irrigated orchards to more efficient micro-drip and sprinkler systems. These systems use less water and eliminate irrigation water runoff from the fields. The Bains were motivated by water quality issues in their local watershed, the Lower Feather River. In the early 1990s, the river was found to be polluted with the agricultural pesticide Diazinon. 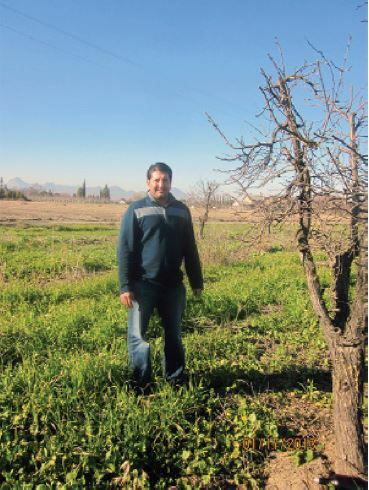 Being farmers, the Bains chose to address their own runoff issues which, when combined with neighboring farms, led to the delisting of the river in 2010. Today, the Lower Feather River remains off the impairment listing, while area farmers like the Bains Brothers continue to practice cover cropping and efficient irrigation methods. In 1994, the Lower Feather River was placed on the Federal Clean Water Act 303(d) list as impaired for beneficial uses due partially to an exceedence of Diazinon, an organophosphate pesticide. Under the Federal Clean Water Act, the California State Water Resources Control Board (SWRCB) is required to set priorities for addressing 303(d) listed state waterbodies and to establish TMDLs (Total Maximum Daily Loads) for polluntants as objectives for attaining water quality standards. A TMDL was established on the Lower Feather River in 2002. 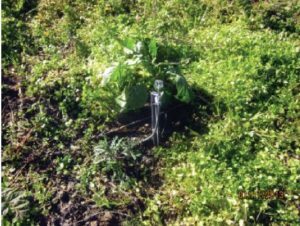 In early 2008, the Sutter County Resource Conservation District (SCRCD) formed a partnership with the Natural Resources Conservation Service (NRCS) to sponsor an Agricultural Water Enhancement Program (AWEP) proposal. Titled “The Gilsizer Slough AWEP Project Action Plan”, the proposal focused on assisting producers who operate orchards within the Gilsizer Slough Watershed. Gilsizer Slough drains to the Sutter Bypass and eventually into the Lower Feather River. In 2009, SCRCD was successful in securing up to $5.4 million in AWEP funding over five years. So far, $3.5 million has been allocated to Sacramento Valley farmers who have implemented 62 different projects covering 2,973 acres in the Gilsizer Slough Watershed. Many BMPs (Best Management Practices) that reduce runoff on cropland have gone into place as a result. SCRCD and the local NRCS field office worked together to assist BSB Ranch LLC and other farmers in their district to obtain the funding, tools and technical assistance necessary for successfully addressing runoff from irrigated cropland contributing to the 303(d) listing. These BMP installations by irrigated cropland farmers like the Bains Brothers resulted in a significant reduction of Diazinon concentrations in the Feather River Watershed. In 2010, the U.S. Environmental Protection Agency–as recommended by the California State Water Resources Control Board–removed 79 river miles along the Lower Feather River from the 303(d) list as impared for beneficial uses due to Diazinon. This project was supported by the Specialty Crop Block Grant Program at the U.S. Department of Agriculture (USDA) through grant 14-SCBGP-CA-0006. Its contents are solely the responsibility of the authors and do not necessarily represent the official views of the USDA.